One of the most recognisable bottles in any collection, Bombay Sapphire’s distinctive blue hue can be seen in bars across the world. One of the most popular gins on the market today, Bombay Sapphire has quickly acquired a reputation for reliably good quality at a very decent price. 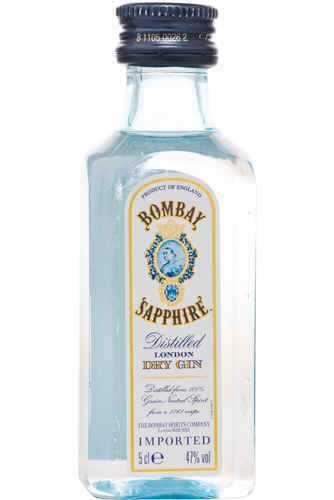 First introduced in 1987, Bombay Sapphire is the successor to Bombay Original Dry, a brand of gin first launched 1959, and based of a recipe dating back to 1761. Bombay Sapphire is one of the ubiquitous gin brands, available virtually everywhere across the globe. 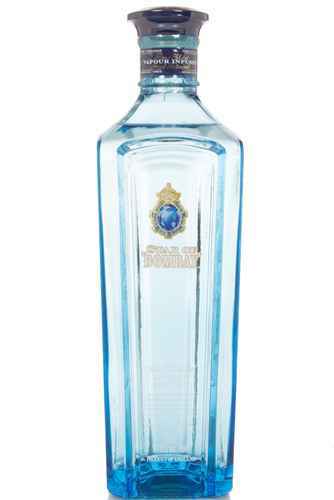 The packaging plays homage to the British Raj in India, featuring a portrait of Queen Victoria on the front, and with a design based upon the star of Bombay Sapphire. During this time in Indian history, several classic Gin cocktails were invented, including the Pink Gin and most importantly, the Gin and Tonic. Bombay’s popularity, however, does not mean that they have scrimped in terms of quality production, rather the brand uses an interesting carterhead still (which is somewhere between a column still and a pot still), producing a spirit of a floral and light nature, whilst adding a high quality blend of fabulous botanicals, including angelica, Juniper and almond, to flavour their gin. Bombay Sapphire draw their water from the reservoir of Lake Vyrnwy in North Wales. Several different varieties of Bombay gin are now available on the market, and we at FineDrams have made sure to stock the very best. Bombay Sapphire East was first released in 2011, and is a more exotic cousin to the standard offering, made the usual botanicals, in addition to black Vietnamese peppercorns and Thai lemongrass, which add delicious citrus and warming spice notes – a real flavour of the orient! This edition is also bottled at the slightly higher ABV of 42%, which allows the flavours to carry through to a greater degree. This bottling has been designed to stand up to sweeter tonic waters particularly. Another bottling, Star of Bombay gin, was released in 2015. This is a small batch limited edition expression, which really demonstrated the quality of Bombay’s spirit. Flavoured with bergamot from Calabria in Southern Italy, Ecuadorian ambrette seeds (found in hibiscus plants, these impart a delicate floral aroma), in addition to the classic botanicals of cassia, coriander and juniper. Star of Bombay is bottled at 47%, and is the ultimate example of quality Bombay gin. Bombay gin counts many stars amongst its fans, most notably the former Mayor of Las Vegas, Oscar Goodman, who has worked as a brand ambassador for the company. The Beverage Tasting Institute of Chicago awarded the gin an excellent 92 points out of 100. Bombay Sapphire’s release in the late 1980s is credited with kick-starting the now unstoppable gin revival and demonstrating to the world how good gin could be.